How does your family do the Thanksgiving Feast? In my family, we are big fans of potlucks! It saves everyone time and money, and no one has to do all the work! One sure way to make sure you stay on track is to bring a fat-loss friendly dish that you know you can eat! Not sure what to bring? Momsanity to the rescue! 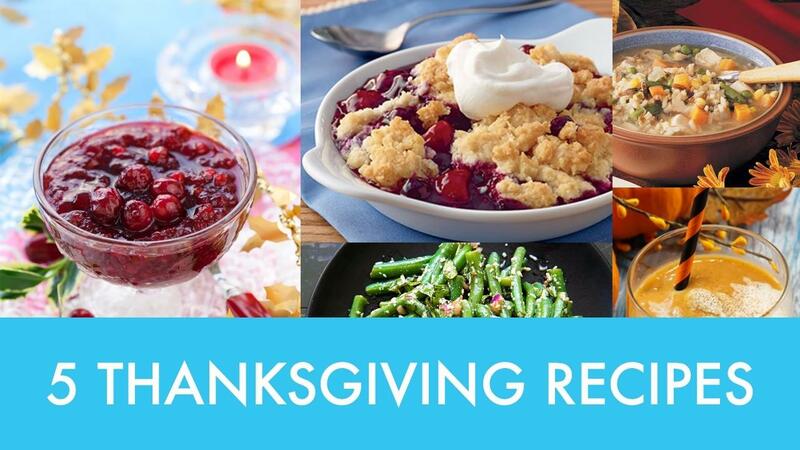 Try these new recipes this year! Wash and pick over cranberries. Place in a medium saucepan with water, and sweetener. Bring to a boil, reduce heat, stir and simmer for 10 minutes or until cranberries burst. Remove from heat and mix in the blueberries (okay to break a few, but don't over mash). The sauce will thicken as it cools. Transfer to a bowl, cool slightly and place plastic wrap directly on top of sauce to cover. Refrigerate until chilled. Makes 9 servings. 1. Combine vegetables in a large bowl. 2. In a small bowl, mix together oil, vinegar, swerve/stevia, salt and water. Pour over vegetables, and stir to coat. 3. Refrigerate, covered, for 4 hours or overnight. 1. In a large pot, combine broth, water, rosemary, and black pepper. Bring to boil; stir in mixed vegetables, and rice. 2. Return to boiling; reduce heat. Cover and simmer 10-15 minutes or until vegetables and rice tender. Stir in turkey and tomatoes, heat through. Stir in black pepper. 2. Spray cooking spray on an 8 inch square pan. 3. Whisk almond flour, ¼ cup of swerve/stevia and baking powder in a small bowl. Add non-dairy milk; whisk to form a smooth batter. Pour batter into pan, then scatter fruit over batter. Sprinkle with teaspoon of swerve/stevia. 4. Bake until batter browns and fruit bubbles, 50-60 minutes. Serve warm or at room temperature. How wonderful to gather round the table with our favorite relatives and consume 8,000 calories, right?